AFTER eight months of training covering subjects such as navigation, cooking skills and emergency aid, 50 Explorer Scouts aged 14 to 18 from Woking borough went to Wales for a weekend of fun and challenging hikes. Their campsite, where they were joined by 21 leaders, was at Llangorse, near Brecon. With sunshine and fantastic views, teams of four or five went on high-level walks in the Black Mountains. 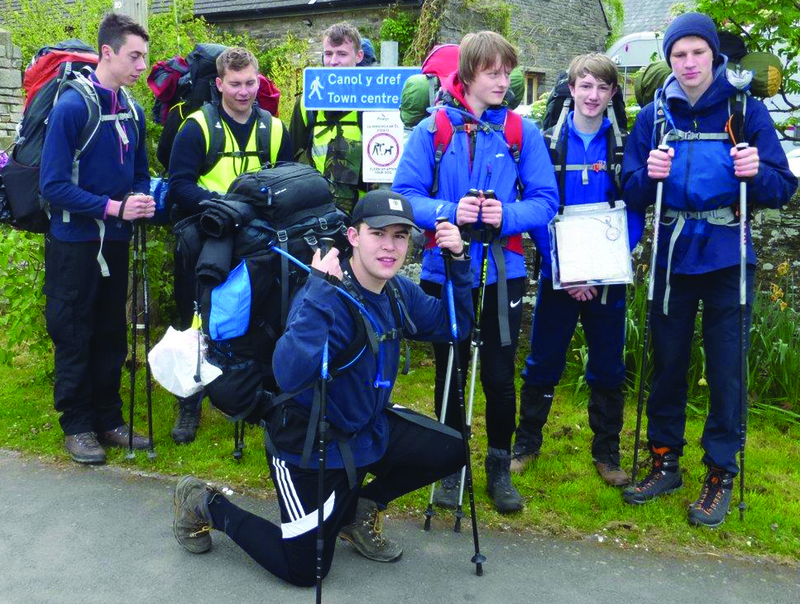 Five teams of seven completed a three-day expedition covering a distance of about 31-miles walking from Talgarth, around Waun Fach to Crickhowell and Talybont and then back up to Llangors. During the weekend other teams of younger Explorers completed a two-day 15-mile expedition walking from Crickhowell to follow part of the Beacon Way to Cwmdu and back to Llangorse Lake. The expeditions were the final part of their Chief Scout’s Award and the Duke of Edinburgh Scheme’s Bronze and Silver Expedition section. Another group of seven Explorers went on a three-day gruelling expedition as part of official practice for the Queen’s Scout and D of E Gold awards, covering around 15 miles a day in the wildest parts of the Black Mountains.